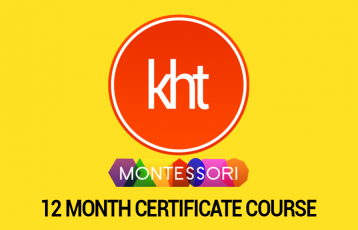 This week in the KHT classroom that just began on September 15th, we have been talking about those first questions that all new students taking the 12 Month Course seem to have…..
Often as parents/teachers we think that a child is ready for an activity and they should be able to complete it. We wonder what is wrong when a child is not following the steps and order. Dr. Montessori believed in the power of “observing the child.” So, if I observe that a child cannot finish an activity, like peeling a carrot, my first thought is all about what I can do to assist the child so that they are successful! I begin to consider that maybe the carrot is too big and/or the child’s hands are too tired…or, maybe the child is not able to focus yet for as long as this job requires! Next time the child chooses to do this work, I might make sure that the carrot is smaller. Or, I might decide to replace this activity with another one and hold off and re-introduce this work later when the child is able to focus for a longer period of time. One thing I know for sure is that the “match” was not made between child and activity. This is something that we strive to do while setting up a Montessori environment and in getting to know the child. Here is another example: If the child is spilling the beans in the first dry pouring exercise, I would first think that maybe there are too many beans for this child in the pitcher. I would think about the possibility that the pitcher is too heavy for their little hand to keep control of while pouring. So, I might use fewer beans in the pitcher. I might replace the pitcher with a smaller and/or lighter one. 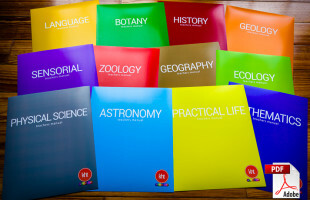 ← Enrollment options for Dec. 1st 2014 are “in stock”!